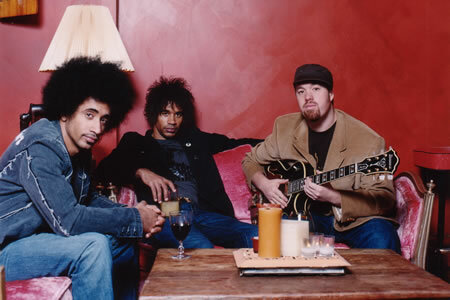 If you like soul, it doesn't get better than Soulive. The Evans brothers and Krasno jam out Long Meadows Park, Sinclairville, NY in 2000. Here's a great DSBD crossposted from archive.org: you can stream it there if you want a preview, or go ahead and download VBR MP3 or lossless versions. Also Krasno's prior band Lettuce follows that. Lettuce came out of Krasno and some Berkley (Boston) classmates, including Sam Kininger, now a permanent member of Soulive. Outstanding funk band, and another crossposting courtesy of LlaMA. This time they funked up New Orleans. Features and Ian Neville sit-in and in celebration of the Late Hardest Working Man in Show Business they do a great James Brown Medley. Great pics from this amazing show here.